Sale! now$45, originally $125. 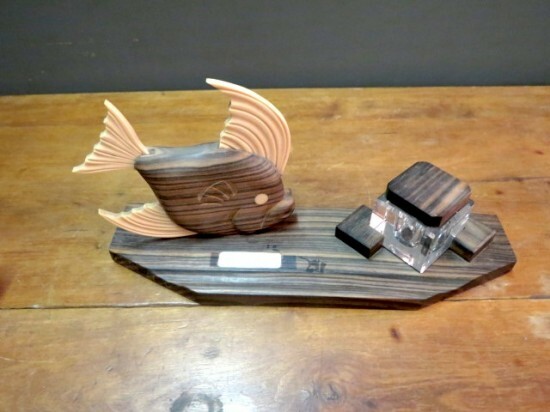 vintage unusual Art Deco ink well and pen holder in zebra wood with large decorative carved fish. 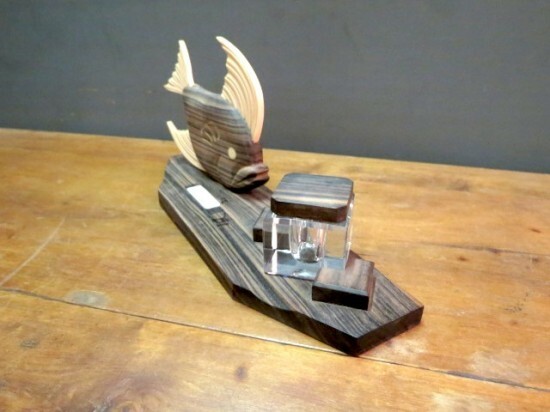 this inkwell would make a fun, whimsical addition to your home office or study space! good condition. 12" long, 3.5" wide, 6.5" tall. Sale! now$45, originally $125. 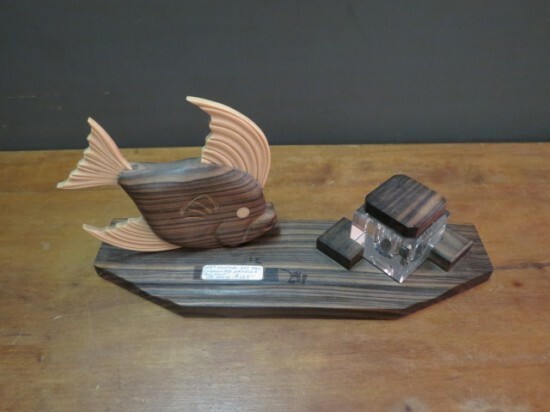 vintage unusual Art Deco ink well and pen holder in zebra wood with large decorative carved fish. 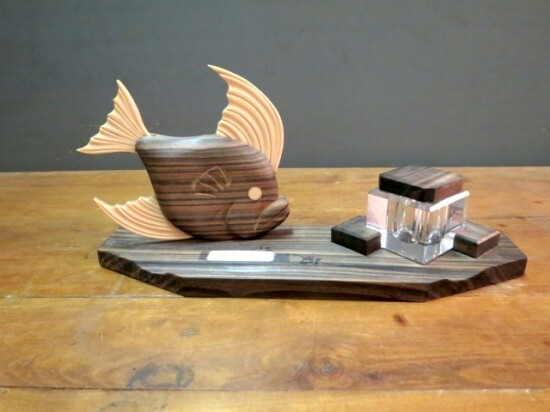 this inkwell would make a fun, whimsical addition to your home office or study space! good condition. 12″ long, 3.5″ wide, 6.5″ tall.